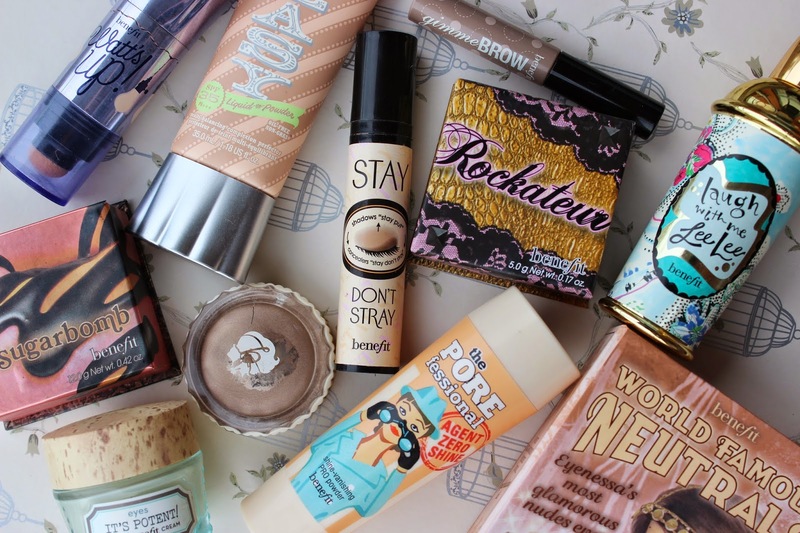 It's no secret that I spend my days working away in the marketing apartment of BeneTowers, so it's no wonder I've become pretty obsessed with a great deal of Benefit products! Over the past few months of sneaking swatches and spritzes at the tester cupboard I've actually formed a serious amount of favourites which I wanted to put together in a video for you. From brilliant bases to big brows and beautiful boxes, Benefit has it covered and a few of my hero highlights have to be watt's up!, 'birthday suit' cream shadow and agent zero shine. Make sure to watch the video to get the full lust list and all the low down. You can also watch the lovely Chloe's fabulous 'Benefit Get Ready With Me' here. On that note I actually need to get ready to head back to Benefit after my bank holiday weekend in Sheffield...ahh the life of a working girl! What are your Benefit besties? I love benefit too! Can't wait to see what you have to say when I watch your video! Watt's up is deffo one of my faves! I sooooo need a Benefit spree after watching this Meg, great video.